It was surreal being inside Atlantis Books with its painted dome, books arranged in a fashion suited to serendipitously discovering new writers, sticky notes taped to shelves with personal recommendations to egg you on. I was here with the man I loved. Here, after dreaming about this place for years. The photos didn’t do justice! This was so much better! Shivering with excitement, I walked around like a headless chicken, pausing, picking and just plain happy to be here amongst books in a strange island with white and blue cave-like houses propped on teeny-tiny lanes. As strange as this sounds, our honeymoon destination was heavily influenced by our desire to visit a certain bookstore. Long ago, when I didn’t even know of the existence of my now-husband, I encountered ‘Atlantis Books’ in a list of most unique and famous bookstores in the world. 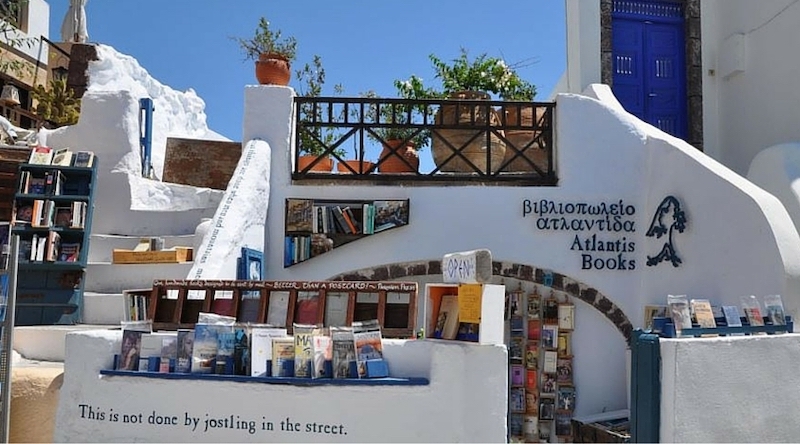 I was smitten by the Cycladic architecture – almost Hobbitton in appearance – and the story of a few friends making a road trip to start a bookstore on an island they fell in love with. That was it! I was in love with Santorini. It so happened that my husband had Greece on his mind too and so we headed off to Santorini (amongst other islands). And in the much-crowded but breathtakingly beautiful village of Oía, we stepped into the dream-like Atlantis books where Sara, the friendly manager helped us pick our usual – an English book by a local author. And thus I became the happy owner of Eurydice Street – A Place In Athens by Sofka Zinovieff. Every trip is like a slingshot into the unknown. Much as it is a planned destination, only vague images prepare you for what awaits. There are always surprises around the corner – a sudden downpour, the strange familiarity of a particular cornerstone or for bookworms like me, a whole new set of bookstores to discover! Every time I took in a new vista or made acquaintance with a different way of life, the compulsion of buying a book from a new city persisted. Was it the thrill of finding a long-sought-after book in unfamiliar cities amongst piles of the forgotten and discarded? Or was it merely to see others like me who preferred to spend afternoons in sneeze-invoking dusty bylanes piled with books? There is no definite answer. After all, we have all explored new places through books as armchair travellers, walking through Lovers Lane in Avonlea with Anne and Gilbert or sprinting across the fantastic Department of Mysteries with Harry Potter. So, when we actually travel, should seeking books not be a natural choice? It has been for us. We are a strange duo that picks books from every place we visit. Are we building our own library? Simply expanding our laden shelves? There is no one right answer. But this strange obsession started in childhood, at least for me. It began with the discovery of the blue dabba in the Mambalam market in Chennai. A mere cupboard painted blue, it was almost like the world atop the Faraway Tree for little me – every time I opened it, a new second-hand book could be discovered. Market trips were no more about cabbages and potatoes. A little wandering and a Three Investigators book could be bought for Rs. 20 from this blue dabba. As a child with little company in her apartment, evenings were spent in the pleasure of thumbing the pages of a book. From Murugan Lending library to our annual trip to Moore Market, Landmark and Higginbothams, books were the friends I sought to buy with the precious little pocket money I got. No clothes. No dolls. Not for me. Every paisa was pegged on buying a book. And so, in 1996, when I ventured on my farthest trip away from home to Bombay with my family, the little pile of money I had accumulated went to the second-hand bookstores of Matunga. Braving the monsoon-lashed streets, my super hip young aunt and I wandered around dingy lanes to buy Enid Blyton’s Three Golliwogs, Mr Galliano’s Circus amongst other books. This was the first time I had stepped out of a comfort zone to explore a new book market. I was hooked! As I grew up, found a life partner and began to travel farther, this need to hunt down book haunts only escalated. Most travellers camp in touristy spots. Others seek paths less travelled. We hunt down bookstores. And so, when we visited Koh Samui on a family trip, we sneaked off to Island Books to chat with the affable Paul Wotham. The store was the largest used-book shop on Samui housing tomes in over 23 languages, filling a much-neglected gap for the expat community on the island. You could rent, buy or sell books, and for a mere 80 bahts we returned with S. P. Somtow’s Dragon’s Fin Soup, a fantasy anthology that was fascinating, bizarre and beautiful. And throughout the trip, I curled up with the book near the pool and when we sailed; making the new surroundings my own with the familiar habit of reading. The thing about book lovers all over the world is that they are united in their love for bound pages of stories, adventures, facts and musings. I still remember the stranger I encountered at Blossoms bookstore in Bangalore who sweetly led me to where Ondaatje’s books were housed. I picked up Handwriting. And between the shelves, as we discussed how fantastic The English Patient was, the syrupy prose of Ondaatje’s words bonded us. His name is long forgotten, but the mutual love for books, I am sure, continues. More often than not, these trips to bookstores help us slowly peel off the layers of a city. 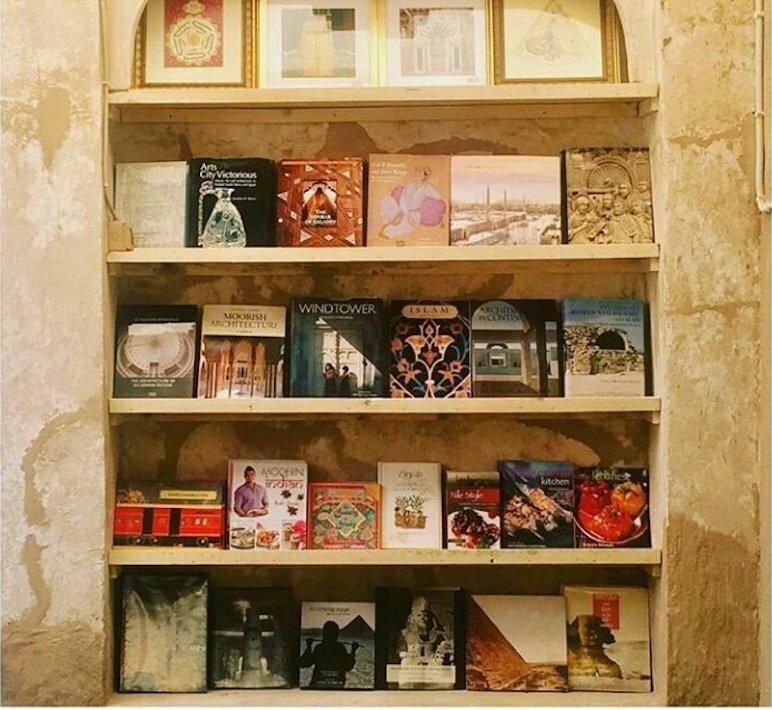 Having found ‘Book Quarter’ at the Alserkal Cultural Foundation on Google maps, we discovered the art district of Al Bastakiya welcoming us with its Coffee Museum, wind towers and this cosy bookstore atop a lovely exhibition space, art café and shop. This was a whole new side to the modern skyscraping city. Although my husband, Neil and I had visited Dubai earlier, this had slipped through the cracks. Visiting Bastakiya somehow completed our circle of experiencing Dubai. We returned from Dubai with Maha Gargash’s The Sand Fish and Karnak Café by Naguib Mahfouz. It simply proved that there was always something new to be discovered even with an old familiar haunt. When we visited Kochi, the island of Fort Kochi of drying fishing nets and European streets fame was new to us. Amongst cute cafes like Teapot, Kashi Art, etc., we discovered Kochi Books. An airy space with wooden rafters and slanting red-tile roof, it thoughtfully accommodates a reading space where one could sit and browse through books for hours. We also made our way to Idiom Books. The lady at the counter recollected every title and author whose tomes she housed in the two-room store. We chatted merrily about Arundhati Roy and M.T. Vasudevan Nair and picked up Kamala Das’ A Childhood In Malabar in the end. But, it is not just about the memory we create by visiting a bookstore or buying an English book by a local author. The stories within somehow lend sharp insights into our travels, irrespective of whether we read the books during or after the trip. It’s like a continuation, a second chapter added to our physical exploration. New aspects of the city are discovered and somehow the book we bring back beautifully traps all of these within. However, not all wanderings end up in books. When in Mauritius, we decided to pay a visit to the Bookcourt in Le Caudan Waterfront which boasted of books on “the Mauritian lifestyle, local cuisine, literature from local authors and writers from the Indian Ocean and other countries.” In our excitement, we had forgotten one important thing – the city of Mauritius shuts down around lunch hour over the weekends. And so, we returned bookless from the country. On the other hand, we wandered around to a lovely café to have a delicious meal by the Waterfront, one of our most precious memories from Mauritius. In a world of e-books and ecommerce, it is precious and beautiful to visit physical bookstores around the world that allow readers to linger, browse and pick the book that speaks best to them. And you spot all the old-world romantics like you who still seek the simple pleasures of holding a book, some sniffing that indescribable smell (step aside petrichor, this is way better!) and others fondly comparing editions, covers and blurbs. And when you see this in a strange city which you have inhabited for less than a day or two, it brings in a familiar warmth. Like some people seek out cafes and bars to drop roots into a new place, we seek out bookstores to anchor ourselves. So perhaps every book we bring back is a souvenir, a slice of the place we made memories in. And as we walk past the shelves back home that slowly get filled and groan with the new books we add, a beautiful blend of stories within and stories we encountered present themselves. New travel plans are drawn and newer bookstores are marked on maps to be discovered. 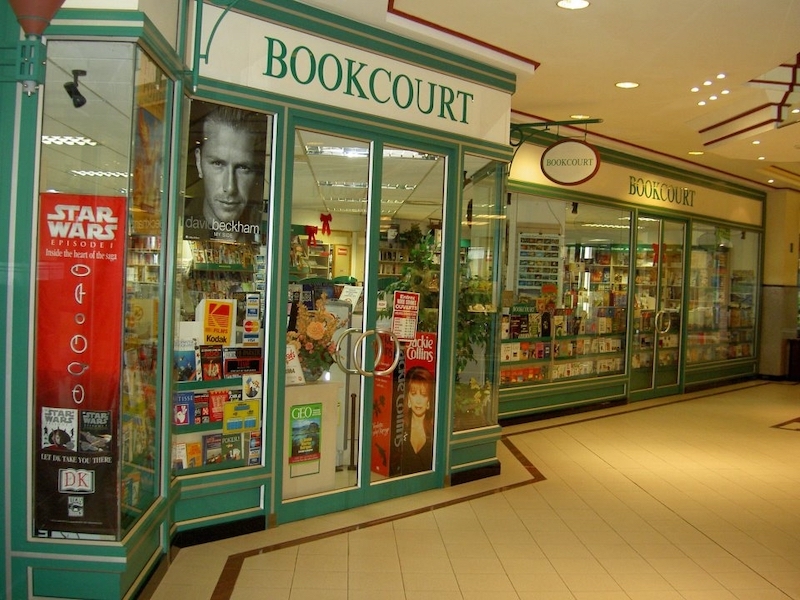 Have you ever been to any of these bookstores? Do you end up buying books while travelling? Share with us in the comments below. Featured Image Credit:Designed by Freepik, Image of Island Books via Island Books and Image of Kochi Books via Inspirock. 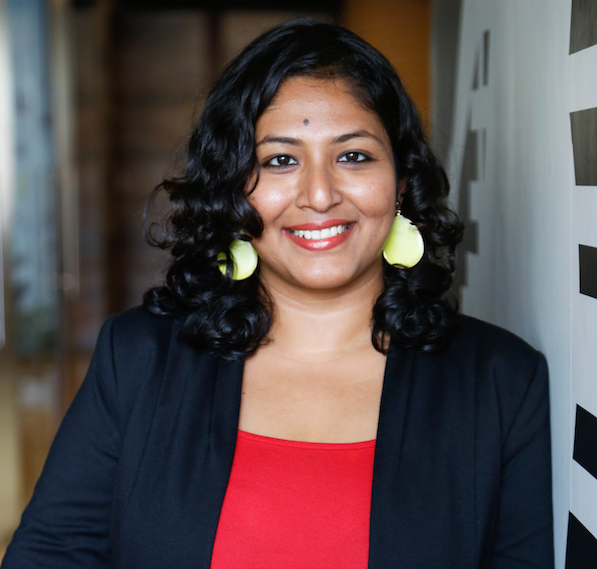 Sandhya believes in changing the way the world works, one story at a time. She has been an illustration columnist with the Sri Lankan based Lanka Monthly Digest, a features columnist with Living Magazine, an Indian Cinema critic for About.com, a food critic for Burrp.com and published in The Hindu, Deccan Chronicle, and online blogs of Roam Coliving, Storytrails, etc. Currently, she spends her days creating engaging content for QLC.io and moonlights writing fiction. Find out more about her on her website. Book shops in Matunga was my childhood retreat and Murugan lending library (at my in-laws’) – a welcome refuge. Thanks Sandhya for mentioning them, it floated a wonderful bubble of nostalgia!